In Charleston, SC more and more couples are opting to have a first look before the ceremony. While they’re not for everyone there are a lot of benefits to seeing each other before the ceremony. A lot of couples feel that this private moment helps them get rid of their jitters and makes the walk down the aisle less nerve-racking. Charleston, SC has so many beautiful backgrounds or if you having your first look at a plantation this can also produce a very southern mossy oak tree dreamy first look. 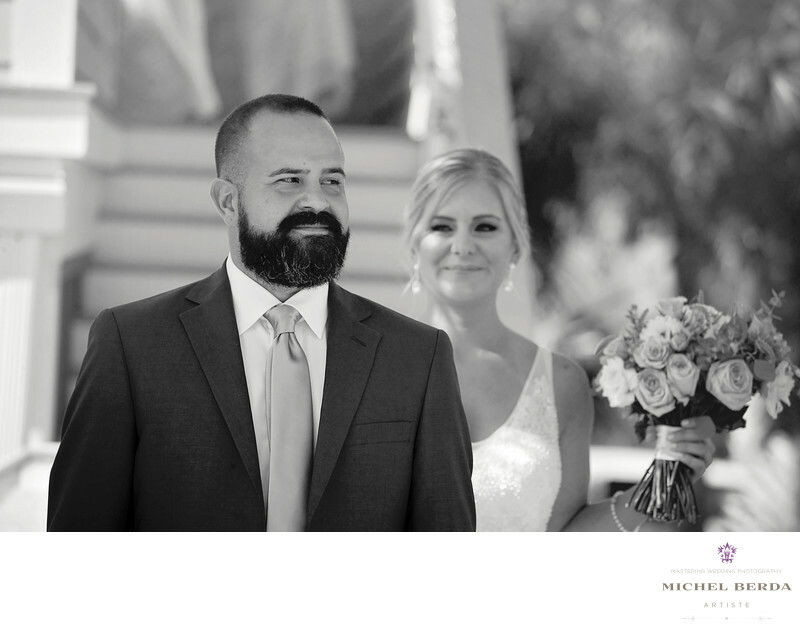 Doing a first look also allows you to get the majority of your formal photos out of the way before the ceremony. Why I will always capture beautiful emotive photos of you seeing each other for the first time and then do photos of you together that will be unforgettable. The other benefit will give you a much better chance of attending your cocktail hour if you should choose too!..If you’re worried that having a first look will make walking down the aisle less emotional, I promise that it will not. If you were to look at all of the ceremony images I’ve ever taken, you’d never be able to guess who saw each other before the ceremony and who did not.Keywords: Charleston (1179), Folly beach wedding photographers (3), Folly beach weddings (3), Michel Berda (1140), photographer (1125), Wedding Photographer (1254), Weddings (168).